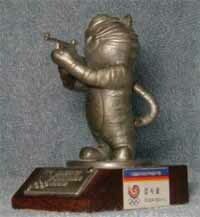 From September 22 to October 18, 1982, the SLOOC solicited entries in a cash prize contest to select the Games mascot. The contest drew a total of 4,344 entries. Classified into 60 types, the entries were brought to a screening session in November 1982. 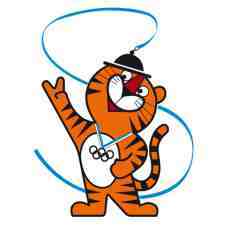 At the session, a rabbit, tiger, squirrel and a pair of mandarin ducks emerged as candidate characters for the mascot. In December 1982, a second screening panel of 15 persons representing zoology, journalism, and design picked the tiger and rabbit from among the four. In December 1983, the SLOOC Executive Board finalized the tiger as the mascot. 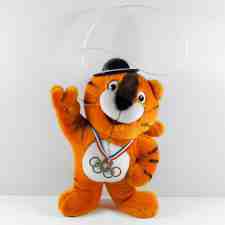 In selecting the tiger as the mascot, the SLOOC cited the tiger's traditional popularity among Korean folk, and its image of an animal which symbolizes the vigorous and marching spirit of the Korean people. The SLOOC also took into consideration the manner in which the tiger design could be adopted to illustrate characteristics of the host country. To produce the tiger in its final figurative form, seven persons recommended by the Design Committee were commissioned to submit two designs or more. The 14 designs presented by the seven persons were brought before a screening committee consisting of 14 members including the members of the Design Committee and related specialists. The panel selected the design by Kim Hyun, representative of the company, Design Park, in May 1983, on the condition that the design be partly amended. In July 1983, the SLOOC, with the approval of its Executive Committee and General Session, finally agreed the tiger design as the mascot. 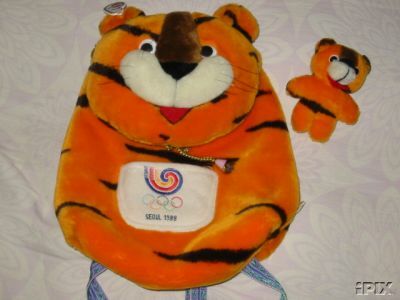 As the mascot of the Seoul Olympic Games, the Korean tiger, long familiar to Koreans through myths and legend, was designed in the simple figurative form of a little tiger cub. 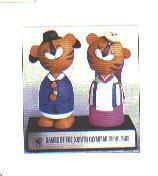 The body lines were contoured to give a soft feeling, and the mascot wore an Olympic medal around the neck to identify itself with the Olympics. To enhance the Korean flavor, the figure wore the traditional sangmo hat of a Korean farmband player. The hat's spiraling streamer formed an S-shape to denote the first letter of Seoul, the host city. To find a name for the mascot, the SLOOC offered a cash prize during a month-long campaign starting from December 1,1983; the contest drew a total of 6,117 names. The criteria set by the SLOOC for the mascot's name was that it should suggest friendliness and a Korean flavor; it should be easy to remember and pronounce; and it should be internationally applicable. A screening panel consisting of 11 experts in folklore, Korean alphabetic research, zoology, journalism, plus two foreigners recommended "Hodori" as the best name in April 1984; Hodori thus became the name of the mascot.